Chris Giglio is driving to work at dawn on a snowy Tuesday morning in Colorado. He’s dressed casually in hardy khaki pants, a black hoodie, and an orange ball cap, and he’s feeling determined, because his morning schedule is free of meetings. He’s hoping to catch up on the paperwork that’s piling up on his desk. There are so many reports that need to be completed, updated or filed. Chris Giglio is a Chemical Management Officer and emergency response professional, working on a campus of about 30,000 students and 1,700 faculty members. His phone beeps, and when he looks down he sees that it’s a page from the Colorado State University (CSU) Police Department. Something about a blood spill in a bathroom on campus. He calls dispatch to learn more, and although there’s not much information about the situation — it’s unclear how this happened — he gets the details he needs. The blood is on the floor, it’s a small spill, and he needs to go clean it up. Although Giglio does walk into his office as intended, he only stays for a few minutes. He doesn’t even sit down at his desk, and he only glances at the pile of paperwork. From the corner, he grabs a bucket that contains latex gloves, safety glasses, and a cleaning product that has a fast contact time and kills a wide variety of agents. He also takes a dust mask and lab coat, in case the situation happens to be more serious than expected, and he considers colleagues he’ll call to help, if necessary. 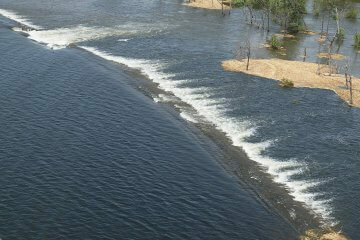 When he gets to the bathroom and views the spill, he sees that it’s something he can handle alone. He’s been trained for this. He initiates a procedure he knows well, starting with putting on his protective gear. Then he begins at the outside of the spill and moves inward, wetting the blood with the cleaning agent and allowing it to sit for several minutes so it can do its job of destroying live cells. 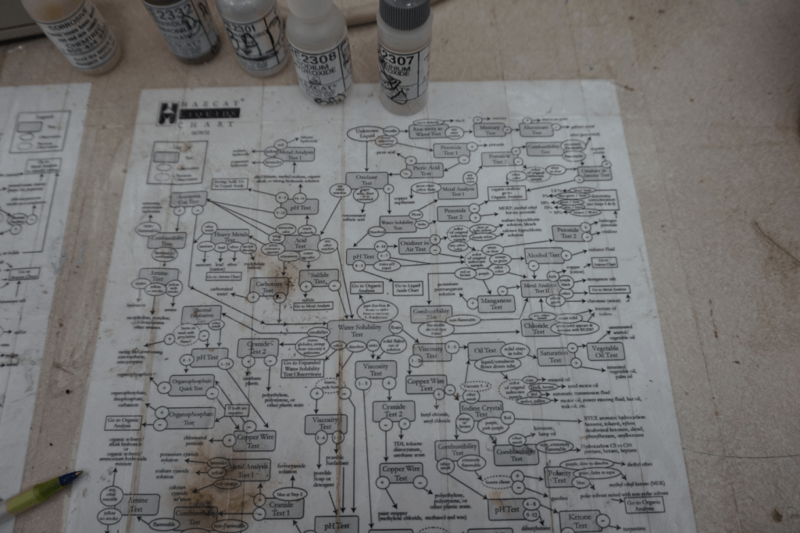 The HazCat chart that helps Chris and his team identify unknown chemicals. And then a half an hour later, voila — the blood is gone and the bathroom is clean and safe for people to use again. He throws the soiled clothes in the trash, and on his way out, he removes the “Do Not Enter” sign blocking the door. This is a day in the life of a Chemical Management Officer and emergency response professional, housed on a campus of about 30,000 students and 1,700 faculty members. Giglio has a long list of examples. For starters, he and his colleagues recently helped respond to a break-in on campus, where the perpetrator shattered a plate glass window, spurting blood on the floor. He’s also dealt with minor explosions, one which involved both a chemical and blood clean-up. Once, he had to remove inactive ricin from a microbiology lab. And about three years ago, there was a major fire in the Equine Reproduction Laboratory, resulting in the building burning to the ground. 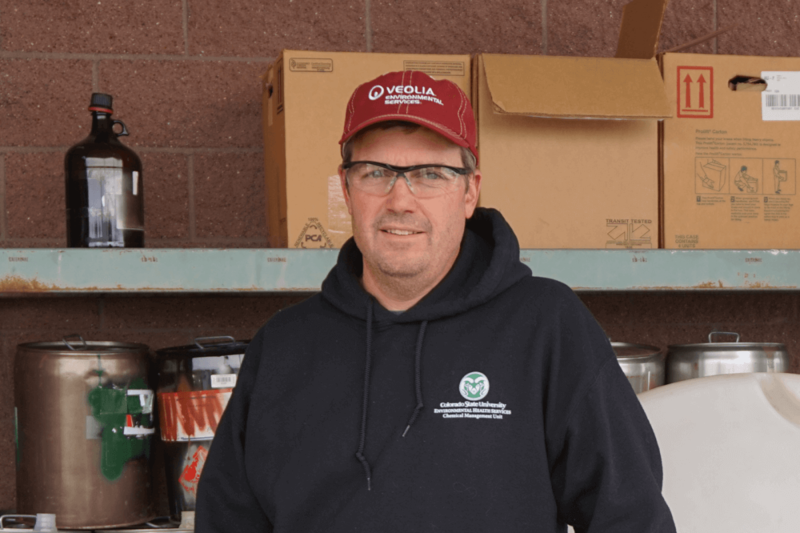 A few days after the fire, when the facility was released back to CSU, Giglio and his colleagues spent a few days cleaning up chemicals spanning the full spectrum of “hazardous,” from gas cylinders to anesthetics. They also had to secure the controlled substance box and clean up burned up refrigerators and janitorial closets. Because CSU is a Carnegie Research University, there’s a high amount of research activity (read: lots of chemicals) involving everything from snake venom to peroxides. 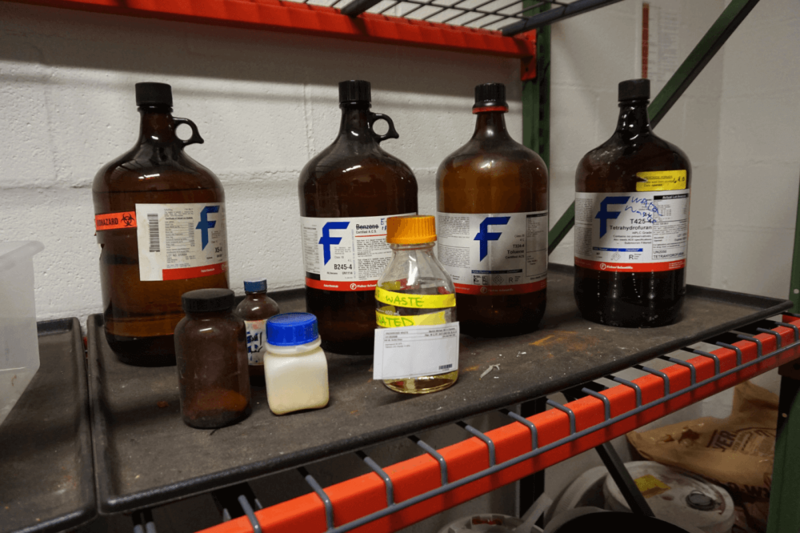 Recently, one of Giglio’s major tasks, which spanned almost six months in 2014, involved completing a total inventory of the chemicals on campus. Brought on by Department of Homeland Security regulations, Giglio and his team worked diligently to bar code all the chemicals used at the university. They applied these bar codes to a Principal Investigator, who was a faculty member, which then tied the chemicals to a relevant lab or labs. As part of this initiative, they instituted an amnesty period. Giglio told people to “bring me your old chemicals. Box them up, call them amnesty, and email me with where they are.” Then he went and picked everything up in his white work pick-up truck, and he turned to focusing on deciding how best to dispose of them. Bottles of discarded chemicals in a cell, categorized for disposal. 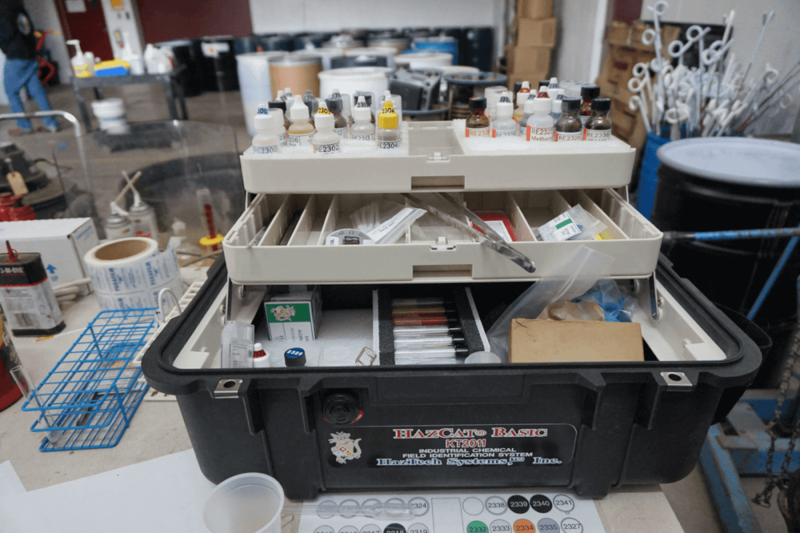 But with most unknown chemicals, detonation isn’t necessary, Giglio and his team bring them to their facility and sample them using a Hazardous Categorization Kit (HazCat Kit), which is basically a big chemistry box and includes a chart they follow in order to identify the constituents. Then they put the chemical into a category. “We look for corrosivity, reactivity, and toxicity,” says Giglio. Once the chemical has a category, they often bulk it up, which means transfer it into a large drum under protective hoods, in order to prepare it for hazardous waste disposal. Sometimes this means an incineration facility. Other times, it’s more complicated. In this case, the chemicals get held in various “cells” — rooms with locked doors, separated by category — until Giglio determines the best options for disposal.